Hello, this is Sukie and today I am sharing a Valentine's home decor project which will be displayed in my craft room. I picked up this wooden frame from Michaels and it has been awaiting a makeover for some time now. 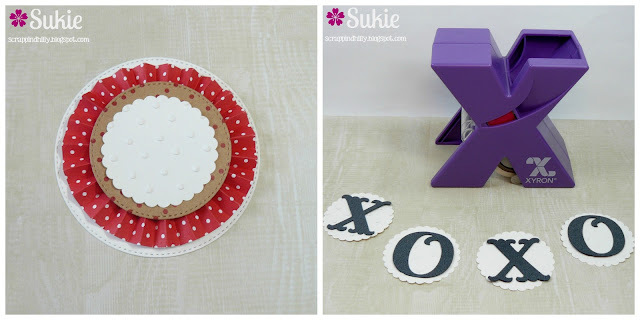 To create my project, I die cut some hearts, scalloped circles and 2 sets of XO letters using my electronic die cutter. The scalloped circles were embossed with the Delicate Dots embossing folder. 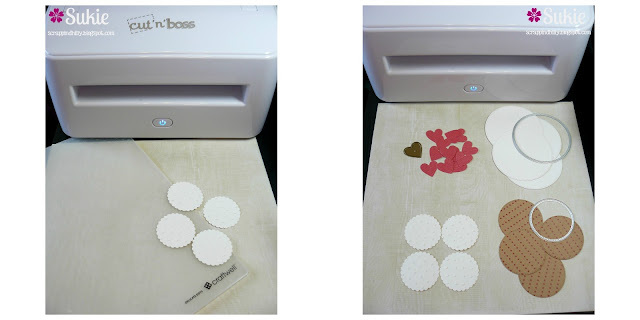 Next, I used my Cut 'n' Boss to die cut several small hearts with the Teresa Collins Pocket Dies. I also die cut some circles in 2 different sizes. When I laid my circles down, everything looked flat so I created a rosette and tucked it between the 2 layers of circles. The rosette provided the perfect amount of dimension and pop of color. Now that I had my vision for my home decor project, I used my Xyron Small Sticker Maker and adhered the letters to the scalloped circles. 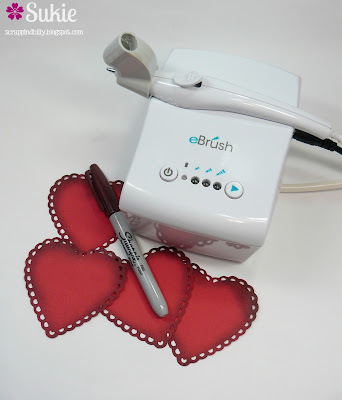 The die cut hearts were shaded with my eBrush for some added dimension. Since I was working with solid red paper I used a darker color Sharpie for the shading. The final layout of my banner with each of the components came together just as I had envisioned. Even though the rosettes were a bit tedious to put together, I love the final product. I added each piece of the banner to the wooden frame using a clothespin. 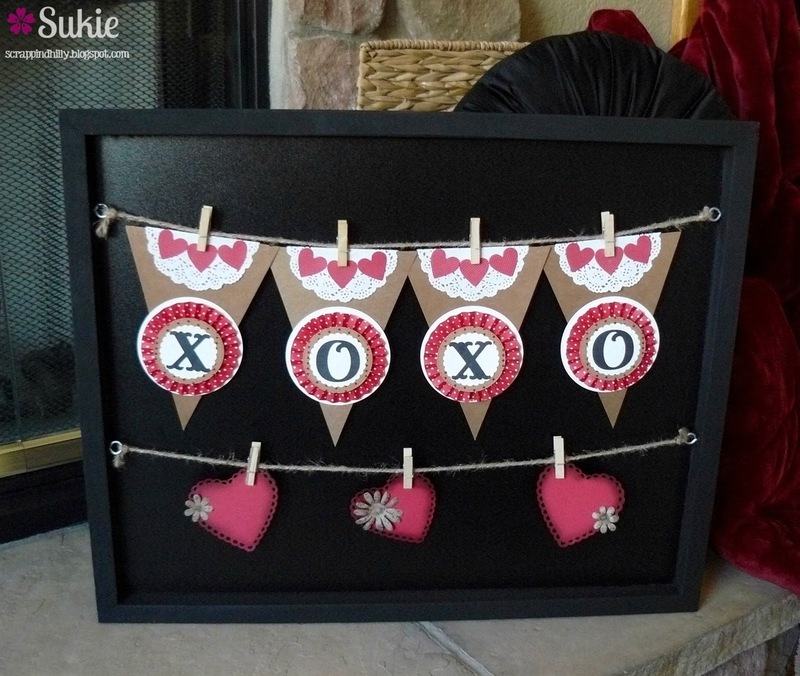 The die cut hearts were added to the bottom clothesline of the frame. 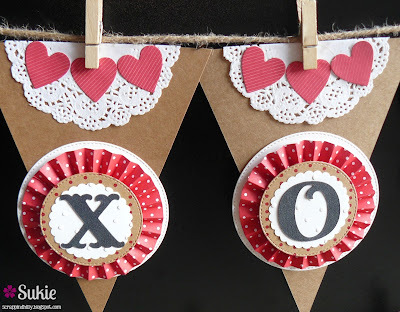 A couple of kraft paper flowers were used to embellish the hearts. Thanks so much for stopping by! Have a fantastic day!